It took six months to for Ali's Cookies to get the spice just right on this cayenne-tinged cookies. Jeff Rosengarten is the sole owner and operator of Ali's Cookies. He has been an Atlanta resident for almost 40 years, and the proud father of five children. Ali's Cookies has been baking delicious kosher cookies and cakes for the community for over ten years. Anyone that has had Ali's cookies will attest to them being "the best cookies you'll ever have." Ali’s Spicy “Hot” Chocolate Cookies get their kick from cayenne. With the hot summer months fast approaching, I wanted to share with you Ali’s Cookies’ Spicy “Hot” Chocolate Cookie. 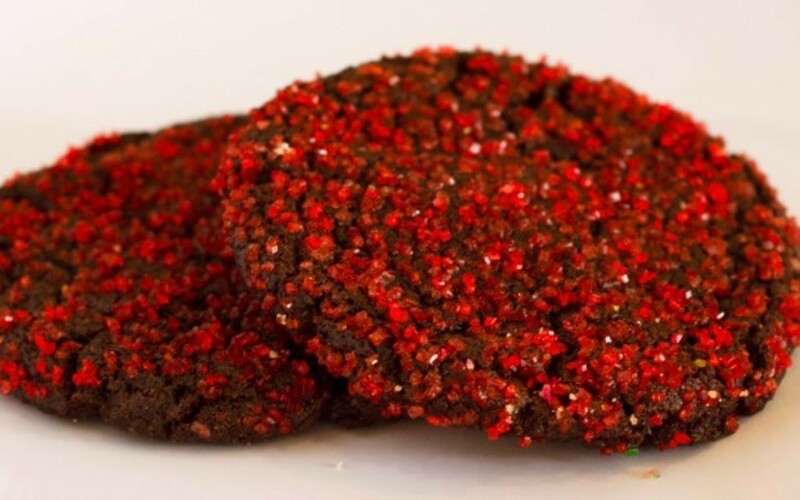 After so many years in business with the same flavors, even though they are amazing, I wanted to add a new cookie that was exciting and unique and would appeal to the foodies out there. It took more than six months for me to develop a cookie with the perfect level of heat. When you first bite into it, it tastes like a delightful, fudgy chocolate cookie. A moment later, the spicy kicks in. It isn’t fire-extinguisher hot, but it definitely has a little kick. For an extra-special treat, pair this with vanilla-bean ice cream. This cookie is a great foray into something a little different from your basic chocolate-chip cookie. Try adding a little heat to your sweet. You may find you like it. Preheat the oven to 350 degrees. Cream the butter and both sugars until fluffy. Add the eggs and blend well. Add the cayenne pepper, cocoa powder, baking soda and salt and blend well. Be sure to blend completely so that the heat from the cayenne pepper is evenly distributed. Add the flour and blend just until combined. Fold in the chocolate chips. Use an ice cream scoop to scoop the dough onto a lightly greased cookie sheet. For larger cookies, like the ones we serve at Ali’s Cookies, use a 3-ounce scoop. Chill the dough for at least an hour. If desired, top the dough with red sanding sugar before baking. Bake 10 to 12 minutes, turning the cookie sheet halfway through to ensure even baking. The cookies will just start to crack on the top when they are done. Let cool and enjoy. And don’t forget to try them with the ice cream. Jeff Rosengarten, a four-decade Atlanta resident and father of five, is the owner and operator of Ali’s Cookies, which has baked delicious kosher cookies and cakes for over 10 years.